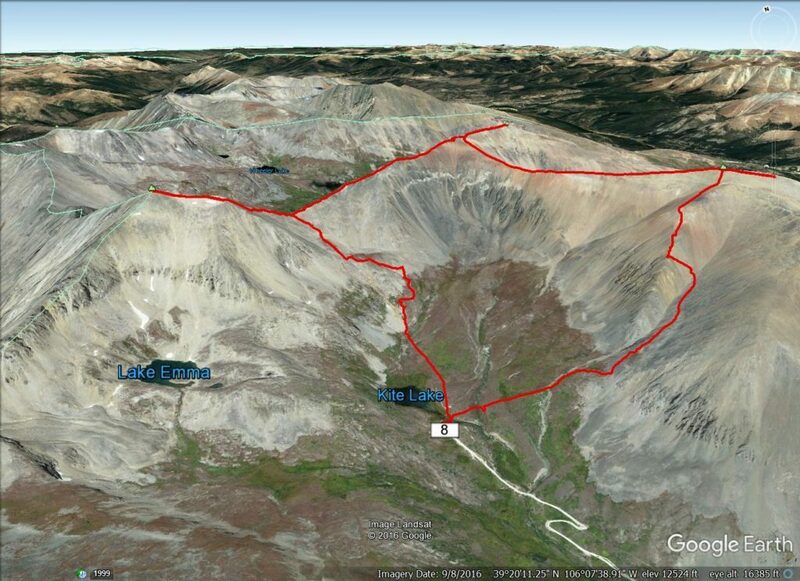 DeCaliBron” (Mt Democrat, Mt Cameron, Mt Lincoln, Mt Bross) provides an opportunity to do four Fourteeners in one day. The linkup involves a fairly steep hike up Mt. Democrat, followed by a prolonged walk along several ridges. From the Kite Lake trailhead, cross the creek and head north from the lake. Ascend Mt Democrat first, taking switchbacks to the saddle between Democrat and Cameron. Turn left (west) and scramble to the summit of Mt. Democrat. After enjoying Democrat’s summit, descend back to the saddle. Hike east to the summit of Mt. Cameron, which is not ranked but is usually included as one of the six unranked summits to be included in the 59 list. From Cameron descend south to the saddle between Cameron and Lincolnon. Lincoln’s summit cap involves a small amount of boulder hopping and is the tallest of the group. Next descend back to the saddle between Lincoln and Cameron and traverse to Cameron’s east side to avoid having to re-climb to the top. Continue around the cirque to Bross. The descent down Bross is very steep, going down a scree filled gully. 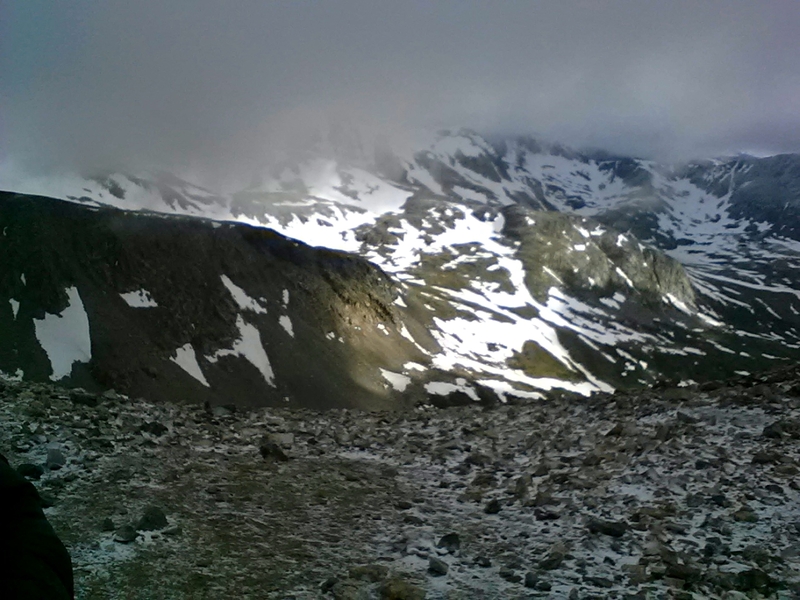 My track up the 4 fourteeners.